Well hello there! I am happy to be back from a three month hiatus. What better way to make a comeback than with a yummy appetizer recipe? 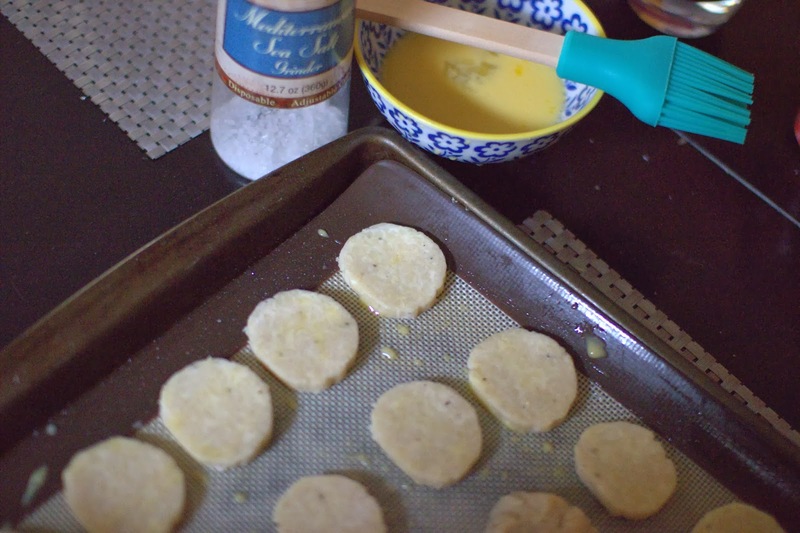 Making crackers may sound like a daunting task, but in all actuality it is pretty simple. This was my second time making crackers from scratch. You can check out my Gorgonzola and Walnut Cracker recipe here. This cracker is absolutely perfect just by itself. It kind of reminded me of a crispier version of Brazilian Cheese bread. 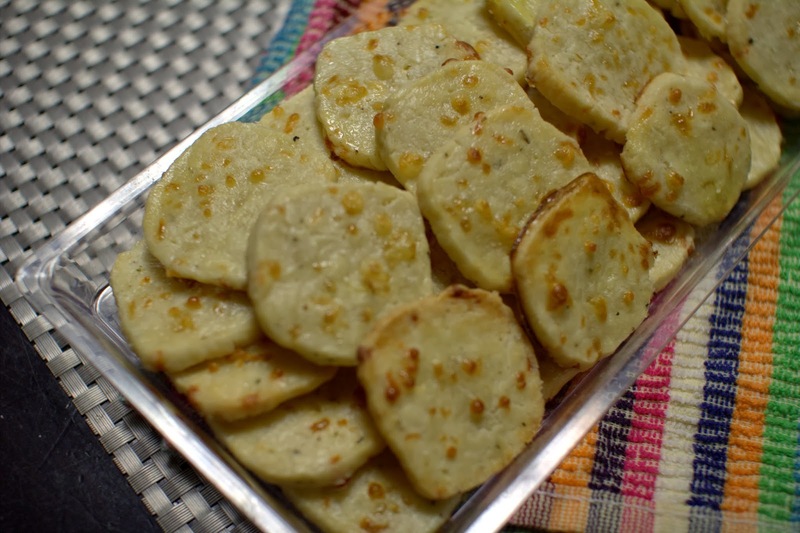 A crisp, chilled glass of white wine would be the perfect accompaniment to these delicious bites of cheesy goodness. 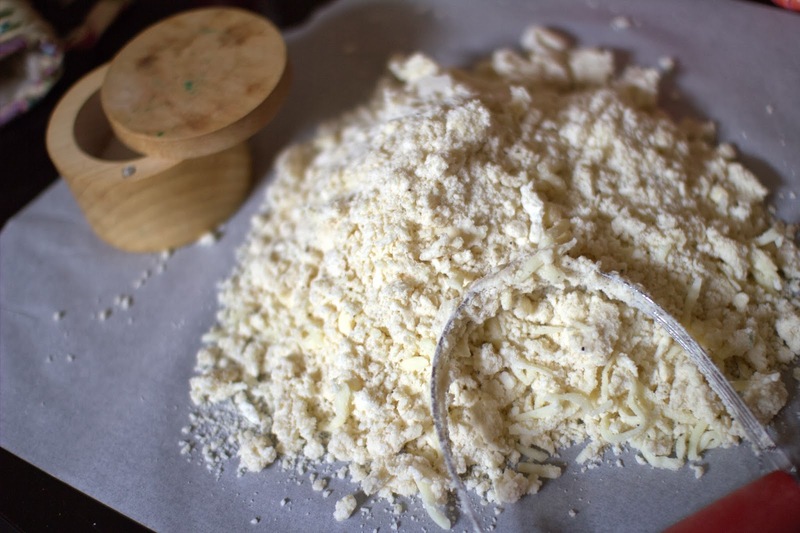 Place the flour, kosher salt, and baking powder in a food processor fitted with the steel blade and pulse to mix. I don't have a food processer so I used a good old fashioned pastry cutter. 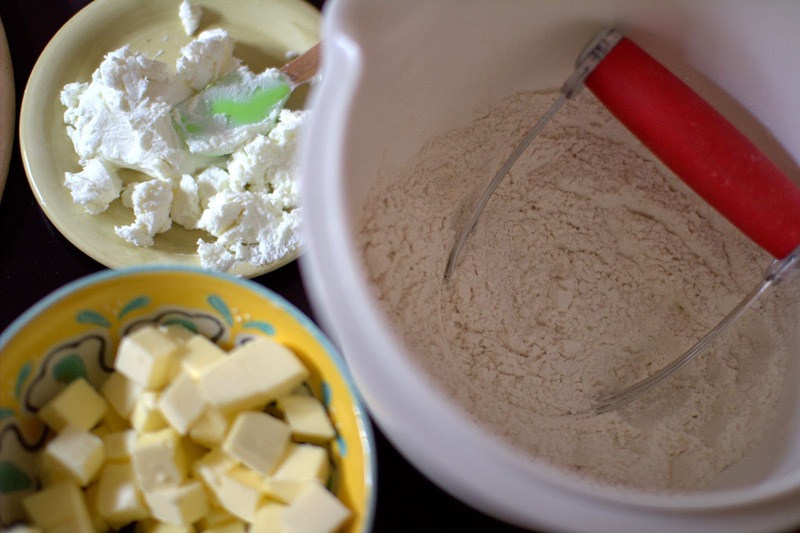 Add the butter and pulse until the mixture resembles coarse meal. Add the goat cheese, mozzarella, black pepper and pulse again. With the food processor running, add the ice water all at once. Continue pulsing until the mixture begins to form a ball. 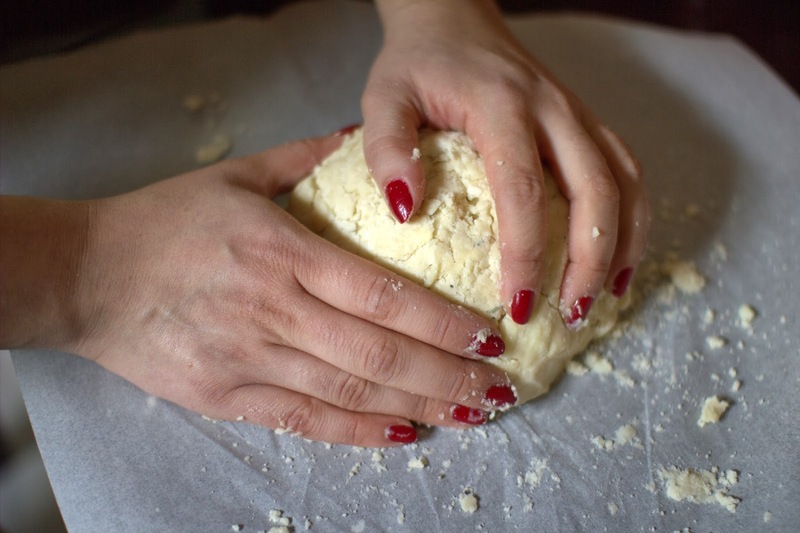 Dump the dough onto a floured board and roll it into a 14-inch log. Wrap in plastic, and refrigerate for at least 1 hour. When ready to bake, preheat the oven to 400 degrees F. Line a sheet pan with parchment paper. 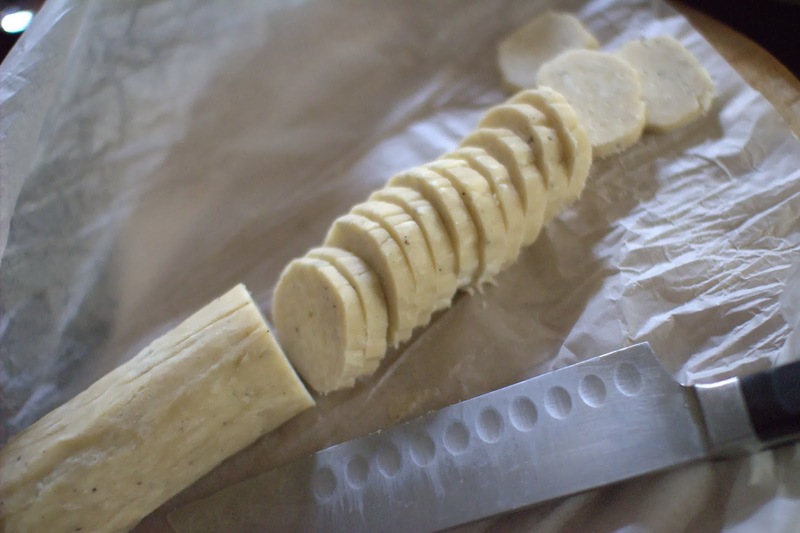 Cut the dough in 3/8-inch-thick slices. 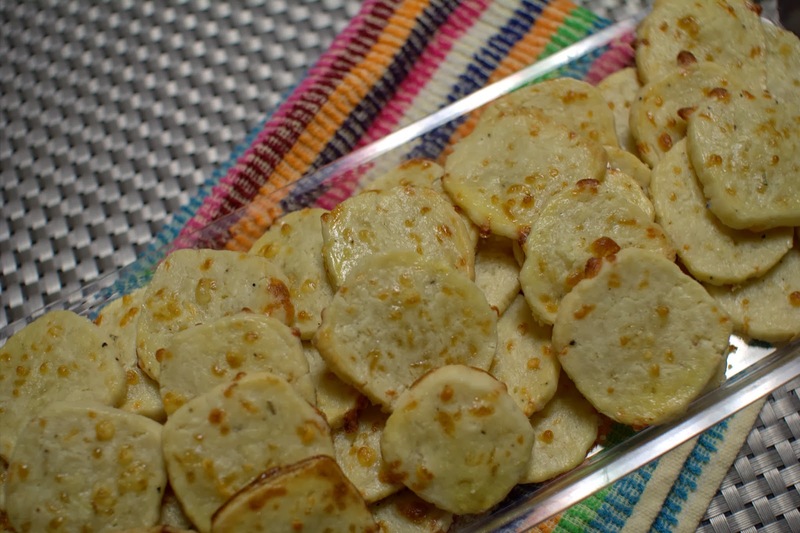 Place the crackers on the prepared sheet pan, brush with the egg wash, and sprinkle with the fleur de sel. Bake for 12 to 15 minutes, until golden brown. Serve slightly warm or at room temperature. Missed your posts! Especially your recipes!